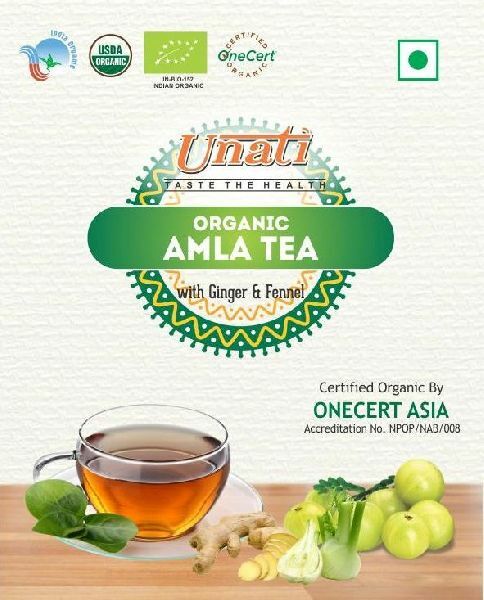 Highlights The Unati organic Amla tea with Ginger & Fennel is pure natural blend of dried Amla fruit with dried ginger shred & fennel. It helps to alleviate the stomach pain and in absorbing nutrients. It relieves stress and menstrual discomfort. It also helps in cold and influenza. A rich source of anti-oxidative & digestive properties.